Jane Weaver’s official biography starts with the sentence “abusing, evading and obliterating 20 years of whimsical pop trends”. Indeed, it could almost be seen as a personal slogan. Weaver travels far beyond the boundaries of genres like dream pop, acid folk, space rock, dark-ambient drones, Hollywood soundtracks and psychedelic music, to turn these sounds into fully realized artistic concepts. 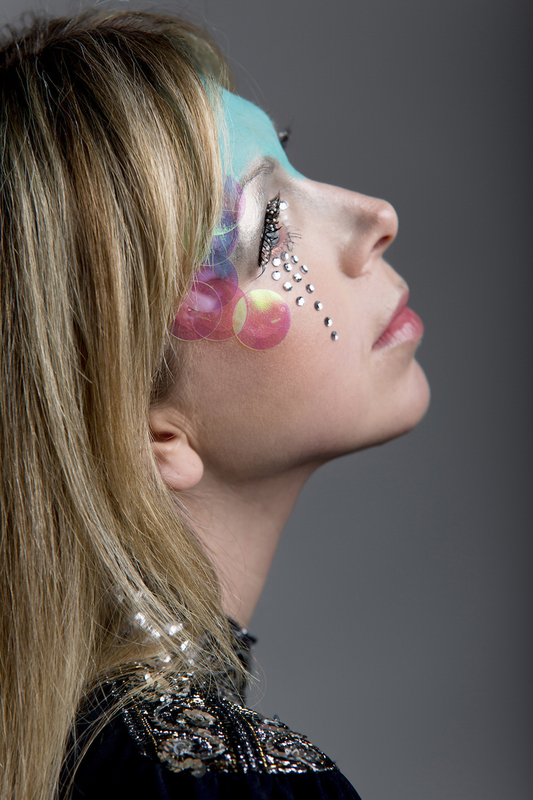 For 20 years, Jane Weaver has remained a strongly independent and resilient songwriter. Raised on the enthusiasm and inspiration of Factory records founder Rob Gretton and counting Doves and Elbow as her early backing bands Jane’s desire to cultivate and promote Manchester's lesser-documented female musicians lead to her long-running Bird records imprint (releasing the earliest recordings of Cate Le Bon, Beth Jeans Houghton and Maxine Peake). Throughout the years, Jane Weaver has released seven critically acclaimed solo albums, and have seen her move via Andy Votel’s Finders Keepers label to Fire Records (a.o. Rats on Rafts, Noveller, The Chills, Josephine Foster). In between, she has collaborated with the likes of Suzanne Ciani, Demdike Stare, and The Focus Group, as well as creating sound-installation projects for Manchester's Boomkat imprint, and making creative endeavors as film re-composer, as a compiler for Finders Keepers records, and as an author of children’s books based on her visual collaborations: indeed, she’s not easy to pin down. Her newest album ‘Modern Kosmology’ is her most refined and fully realized yet, and together with predecessor ‘The Silver Globe’ see Weaver at the peak of her creative powers: crystallizing space rock and archaic movie soundtracks, and delving into groovy art pop sensations, mesmerising krautrock repetitions, eerie folk, and minimal synth arrangements. On Ravenspoint, CAN’s original vocalist Malcolm Mooney delivers a spoken-word voiceover about the transitory nature of human existence. 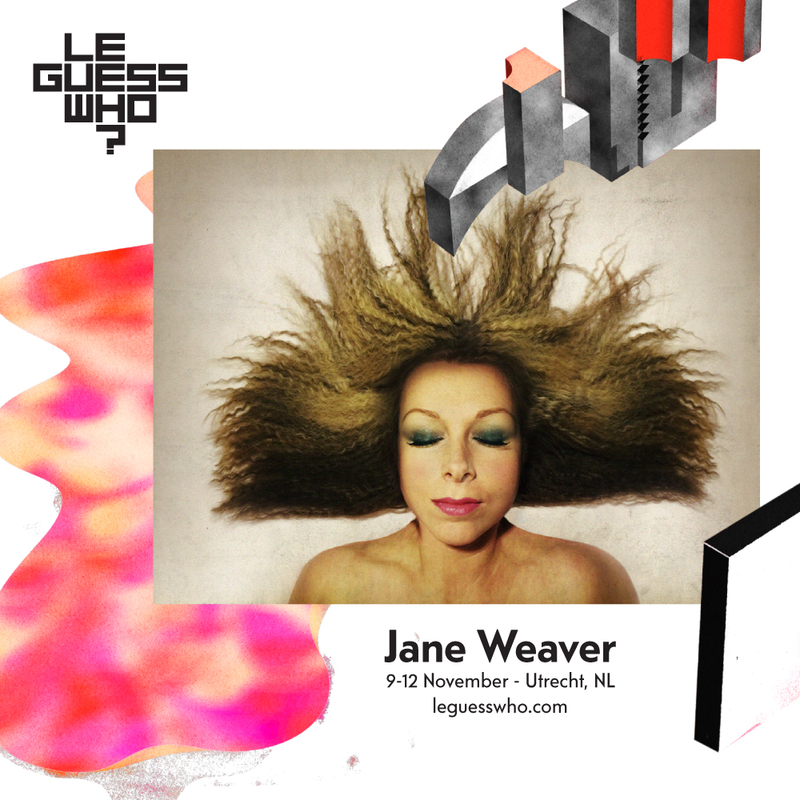 What to expect from Jane’s live performance at Le Guess Who? Probably an all-out joyous celebration of cosmic sounds. With live performances having been celebrated by the likes of Jarvis Cocker, Guy Garvey, Laetitia Sadier, Richard Hawley, Josephine Foster and Gruff Rhys, we sure can’t wait to be the next in line.